These shades pack in a heap of well thought-out features. The Evil Eye Halfrims represent the evolution of a product that has been shielding the eyes of top riders for over 10 years. Adidas Eyewear’s original Evil Eyes were the first pair of sunglasses I was able to successfully pair up with contact lenses. I’d had lots of problems with lenses falling out in other glasses in the past and I recall standing under a massive fan in a New Zealand sports shop before beginning a long and happy relationship with my first pair of Adidas Eyewear shades. The Evil Eye Halfrims hit the market in 2011. Like their predecessor they come in small and large frame sizes, feature three point temple adjustment via replaceable hinges and offer two points of adjustment via a silicon nose piece. These help position the frame in relation to different face and helmet shapes, or alter this position in relation to riding style or wind direction. A sweatband and spare set of orange lenses also come with the pro model. The biggest difference between the halfrims and the original Evil Eyes is the…wait…half rims. If you haven’t picked that now I’d be a little worried! The logo slides back to allow easy lens swapping. Snazzy. The new lens/frame design sits close to the face and offers vision similar to the uninterrupted view offered by Adidas Eyewear’s Supernova Pros. The enhanced peripheral vision is a welcome addition to the new design. The flatter shape of the lens also works better with strong prescription inserts. 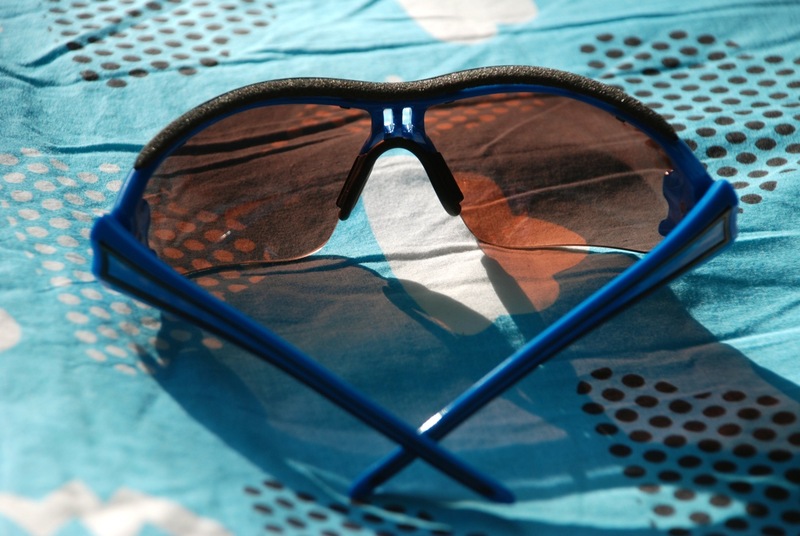 Air flows well through the shades, which keeps the eyes comfortable (even with contacts) and avoids fogging. The top section blocks light from above to reduce squinting in really bright conditions and the sweat blocker channels any dripping sideways to keep the lenses clean and focus sharp. 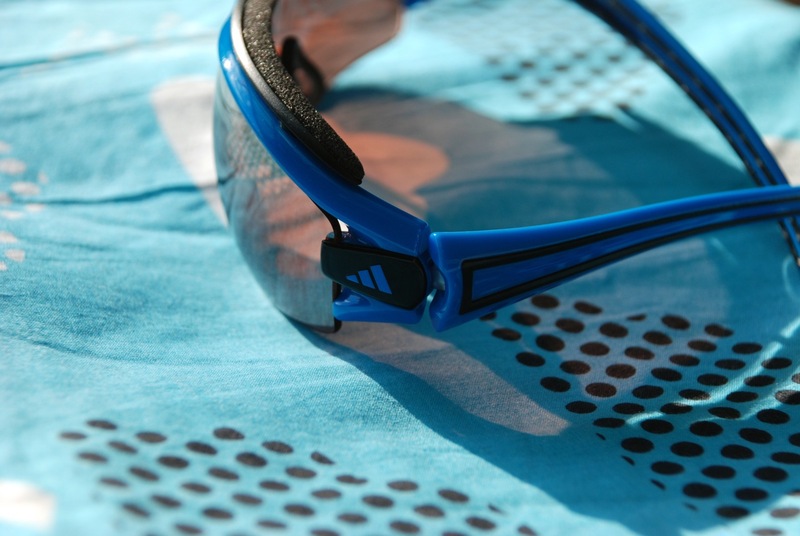 The standard Evil Eye Halfrims and the Pro version both come with Adidas Eyewear’s signature LST Active lenses. These pinkish toned windows offer the best trail contrast I’ve experienced. They also reduce glare and cope well with dappled light, and when moving from bright to shade. Picking lines in these lenses is effortless as long as you know where to look. Team mate, Naomi Hansen, prefers to paint the hillside orange. In addition to the LST Active and LST Bright (orange) lenses that come with the Pros, I’ve also been lucky to receive a clear set of lenses and a new set with a grey to clear gradient. 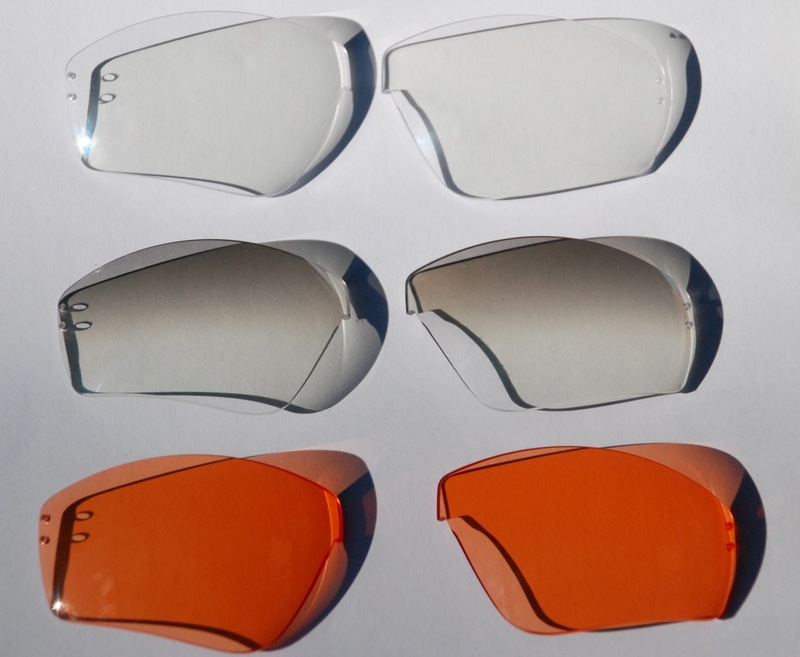 The orange lenses brighten up foggy or rainy days and some riders swear by them at night as well. I use the clears for night riding as they protect my eyes, show things as they are and add an extra crispness to the trail ahead. 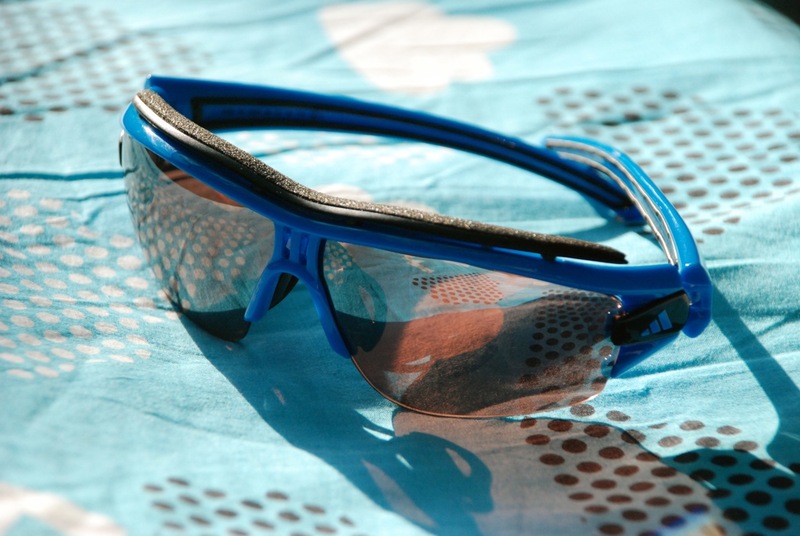 I’d seen the gradient lens before on other riders, but mistaken it for a photochromic lens. The top section takes away any glare while the clear section at the bottom offers the crispness of the regular clear lens. This is great for shady days in the forest, but has also become my preferred option for pre-dawn rides as well. Instead of carrying darker shades in my helmet for the first hour of the ride, or finding the early morning sun too bright on the return home, this new lens offers the perfect balance between light and dark. It’s also helpful when riding in the bright night lights of the city or behind riders with increasingly blinding blinkies on the rear. 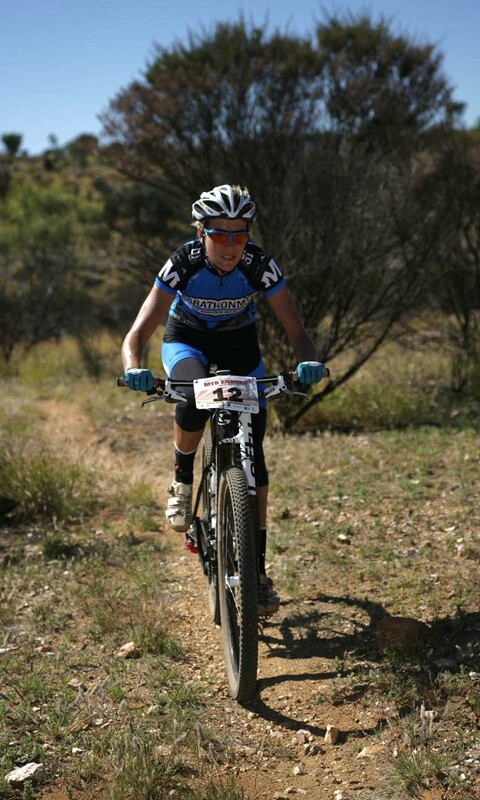 I also rate that they come in MarathonMTB.com blue. 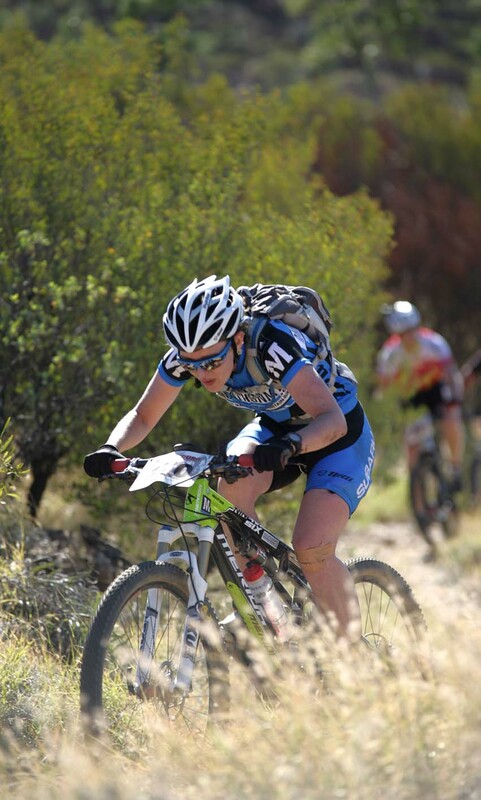 Thank you again and again to Adidas Eyewear for their support of the Subaru-MarathonMTB.com race team alongside many other athletes as well. I feel very spoiled for choice whenever I reach for a set of shades and head outdoors. I hope this post answers a few questions for other people who are keen to do the same. If you’re interested in reading about additional features that haven’t been covered here, Adidas Eyewear’s Evil Eye microsite is a great place to start. Thank you also to Tim Hill for the riding images. Additional images by Kath Bicknell.